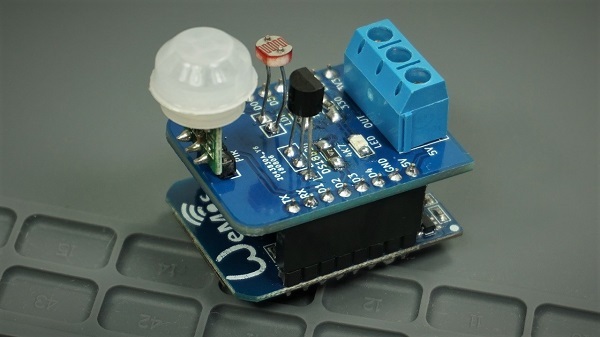 In this project you’ll discover how to design and create a Multisensor Shield for the ESP8266 Wemos D1 Mini board. The shield has temperature sensor (DS18B20), a PIR motion sensor, an LDR, and a terminal to connect a relay module. We’ll start by preparing all the hardware and then program it. See the full post on Random Nerd Tutorials blog.